A $35,000 Model 3 is a major shot in the arm for Tesla during a period of major challenges for the Silicon Valley company. Tesla's Elon Musk visited Norway to review service in the automaker's third-biggest global market where delays have upset customers. Tesla doubled its Norwegian service staff last year to more than 360, seeking to resolve customer frustration at delays before delivering the new Model 3, a company spokesman confirmed two weeks ago. The automaker’s Norway operations are closely watched, as the country has the world’s highest number of electric cars per inhabitant thanks to generous government incentives for low-emission vehicles. Capacity shortages at Tesla have caused long service queues, frustrating customers. Tesla has 13 service centers in Norway and is working to get two more running as soon as possible, Musk said. The company also got approval for mobile service units last year, allowing it to test three of them through June. 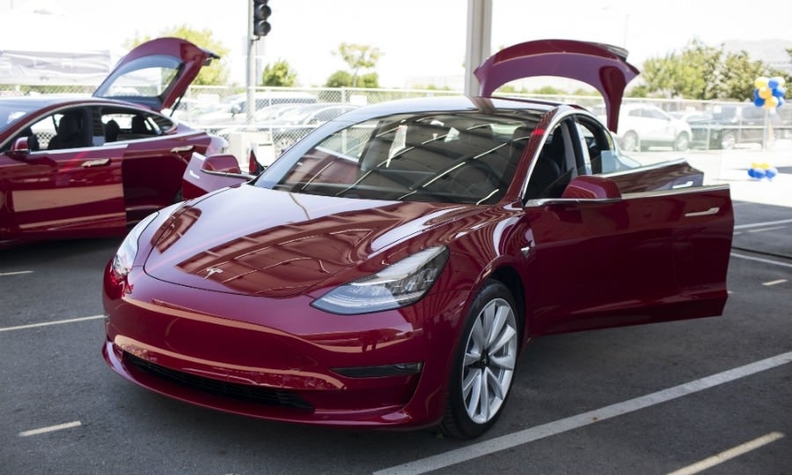 Prices for the Model 3 in Europe vary depending on the country, with customers in Belgium paying a base price of 58,800 euros ($66,600), compared with 55,400 euros in Germany and 53,500 euros in France. Tesla has cut the Model 3 sticker price in the U.S. twice this year to $42,900 to partially offset a reduction in federal tax credits. Musk tweeted Saturday that he was visiting Europe over the weekend for the launch of the Model 3. Besides Norway, he said he planned to visit Tesla’s headquarters in Amsterdam, as well as the company's European distribution center in Tilburg in the Netherlands and the Belgian port city of Zeebrugge. Musk’s tweet included an image of what appeared to be a number of Model 3s.